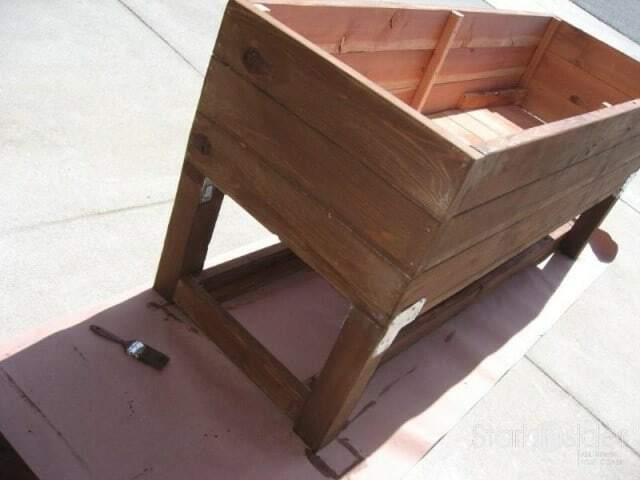 DIY Planter Box: Get your veggies on! 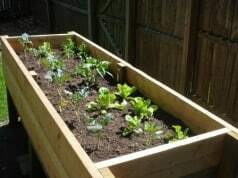 DIY Planter Box - My urban vegetable gardening dream takes flight. 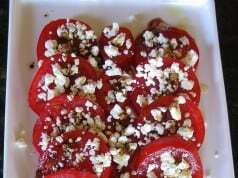 Spring is here, at least in this hemisphere, and there’s one word on my mind: vegetables. When it comes to simple culinary pleasures, there is simply nothing better then heading out your back door, grabbing some fresh tomatoes, lettuce and cucumber, and then preparing a fresh garden-to-table salad. If you’ve done it, you know… it tastes unbelievably good. Do it once and you’ll be planting veggies every year for the rest of your life. Well, at least until you can hire an entire vegetable staff to do it for you. So good is this hobby — for soul, for health, for mind — that it may very-well overtake my All-Clad D5 addiction (maybe). I love vegetable gardening, but don’t have a lot of yard space. So I searched the Internet. I Googled relentlessly for a solution. I tried terms like “DIY planter” “planter plans” “urban gardening” etc. You get the idea. But I could not find the ideal plans for my limited yard. No ready to give up so easily, I then decided to make my own plans. I drew them out, made a few trips to the local Home Depot, and “commissioned” my husband to build my dream. It didn’t take long – just a few days to make sure the design was right. I posted the plans, and photos of the building process, which you can find here: Venturing into Vegetable Gardening. This planter box is fantastic! – it’s wearing well, is easy to work on because it’s at waist-level, drainage has been good and it continues to produce exceptional results: tomatoes, cucumbers, lettuce, beans, hot peppers… you name it, it grows in this box. People are downloading the plans for this Vegetable Planter like crazy – over the past 24 months or so there has been over 3,000 downloads. Vegetable gardening is a global phenomena – I have new virtual friends who have used these plans (and even emailed me amazing photos) from all over the world: UK, New Zealand, Australia, Canada, South America. 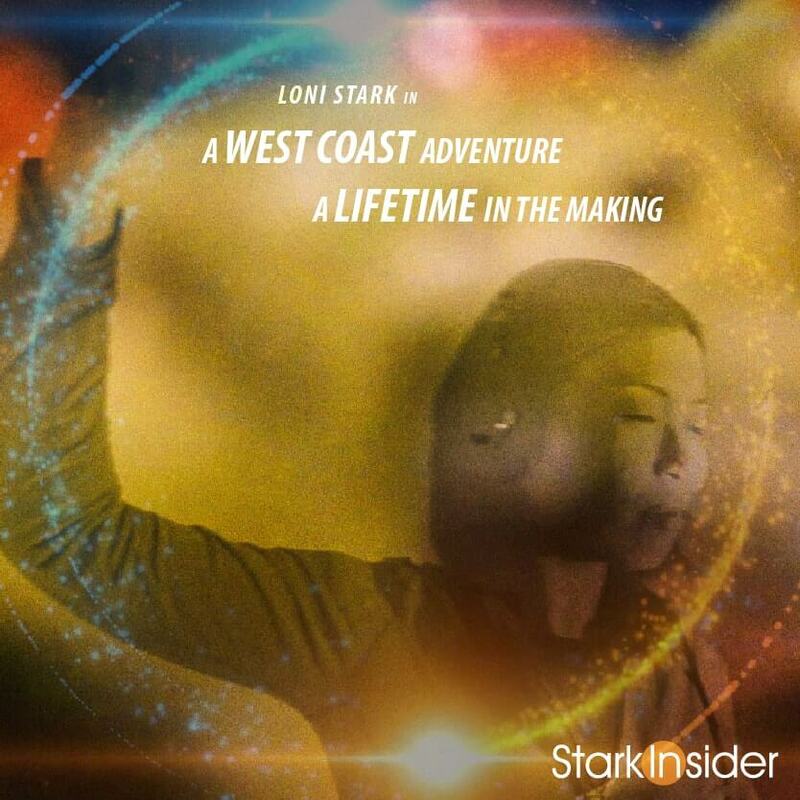 To all of you I say thank you, it’s a thrill to share my passion with you! 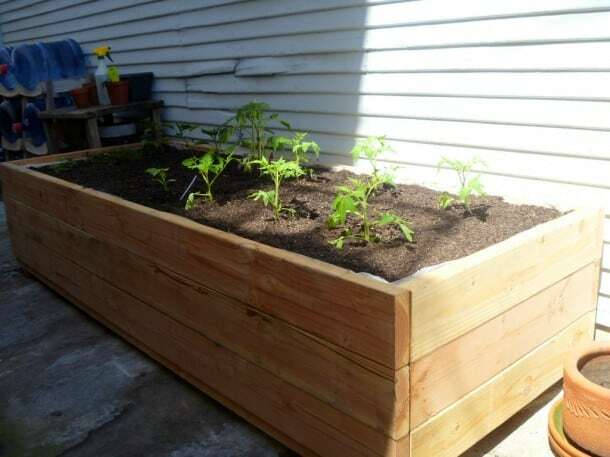 I finally got around to building my planter box this past weekend and thought i’d send you a photo. I added an extra couple feet in length as I had space for it. Anyway, thanks so much for posting the pictures of your building process, I couldn’t have built it without them. Literally, the password for the pdf didn’t work for me for some reason so I just followed the pictures. All planted, now to add a cage of some sort to keep the squirrels out! Here I talk about some ideas and little tips that have helped me in my urban garden. I’m sure you have many more to add… I always love to hear them. Each year the garden gets better and better. My adventure begins. 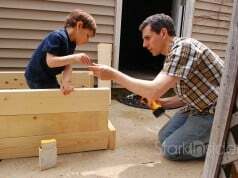 Photos, stories, updates on building my own planter. 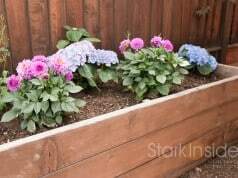 These are all the posts related to gardening on Stark Insider including photos from around the world, updates, and tips.